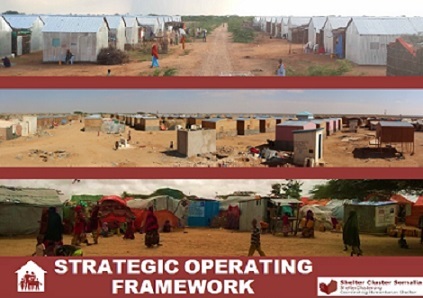 Provides guidance for implementing shelter/NFI activities in a remote managed operation like Somalia. This is a concept note on how shelter sector relief activities can be linked with rehabilitation and development initiatives. There are an estimated 2.6 million IDPs in over 1500 sites in Somalia. The needs of different categories of IDPs, i.e. people who have been IDPs for nearly two decades and those displaced more recently, vary. The cluster continues to provide emergency assistance to newly displaced people affected by natural and man-made disasters (flood, fire, drought, conflict and evictions). It distributes a minimum Non-Food Item (NFI) kit and an Emergency Shelter Kit (if necessary) for those in need. It also maintains the emergency response capacity to distribute NFI minimum packages for 30,000 households or 120,000 people. This ensures a timely response to sudden on-set disasters through prepositioned stocks held across Somalia. Programme design takes into account the specific needs of women and, where appropriate, women’s dignity kits are also distributed. As durable solutions are not able to be achieved for all protracted situations, there is also a need to start re-building the resilience of these communities. 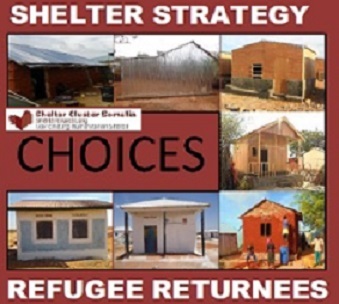 The Shelter cluster strategy has three main pillars: Emergency, Transitional and Durable Solutions. A fourth pillar which specifically looks at the capacity building/coordination component has been included. Community participation and ownership are underlying themes which are embedded in all cluster activities. To improve accountability, Post-Distribution Monitoring (PDM) forms an integral part of implementation and where there is an unacceptably high risk of diversion of aid, activities may be suspended. 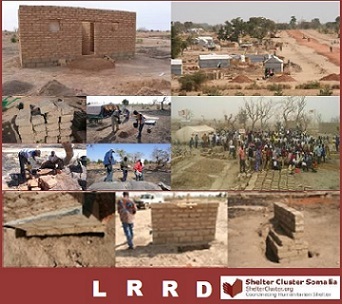 Joint needs assessments are coordinated to ensure that each regional shelter cluster produces an annual analysis of their respective IDP situation regarding shelter, NFIs and land tenure. 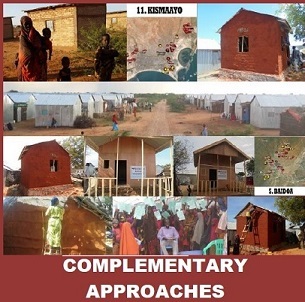 As the number of returns increases due to relative stability in some parts of southern and central Somalia, the cluster is expected to shift focus away from immediate life-saving activities towards sustainable and durable (shelter) solutions. Consequently, there is a need to track progress and monitor the impact, relevancy, effectiveness and efficiency of shelter activities. Adequate monitoring mechanisms will be put in place to review the progress and impact of cluster members’ activities.